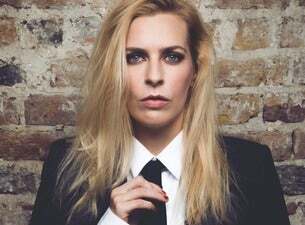 Always honest, and always regretting it later, Sara Pascoe recently wrapped up her latest tour, LadsLadsLads, the thinking person's stag do. Pascoe has returned to the stand-up scene after having published a book, Animal: The Autobiography of a Female Body, in 2016 and then promoting it with her Animal tour in 2017. According to The Guardian she’s “whipsmart” and “winningly funny”. When Pascoe’s not writing or touring, you’ll often find her on TV panel shows – busting out punchlines on Mock the Week and 8 Out of 10 Cats or doing stupefying tasks on Taskmaster. She also appears regularly in Live at The Apollo and QI.